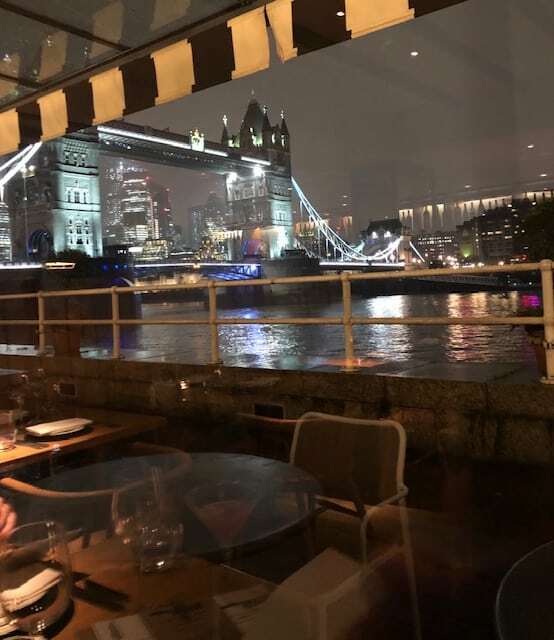 Butlers Wharf Chop House is ideally located by the River Thames with beautiful views of Tower Bridge while dining. 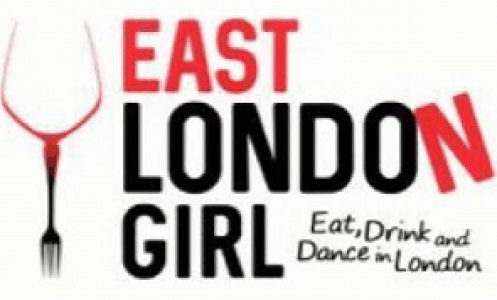 It stems from the popular D&D London chain who are aiming to bring back the great British Chop House. 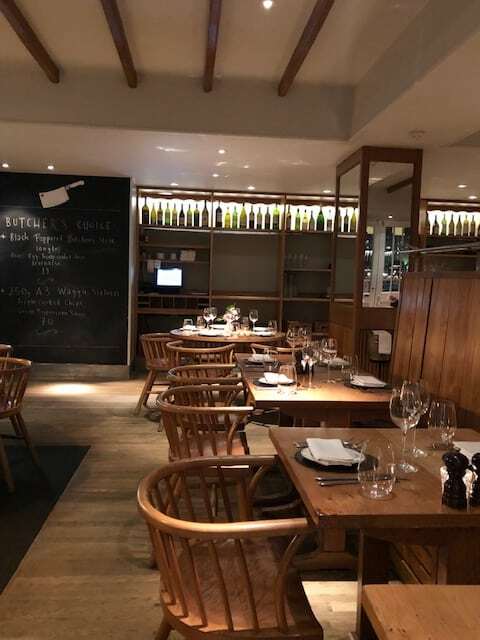 It has three Chop House restaurants in London include Paternoster and Quality Chop House. Head Chef, Matt Bishop, started his career with Michelin starred chef, Gary Rhodes, before working at Pont De La Tour, Maze and in several restaurants abroad. We were impressed with the selection of cocktails on offer and started our night seated at the bar. 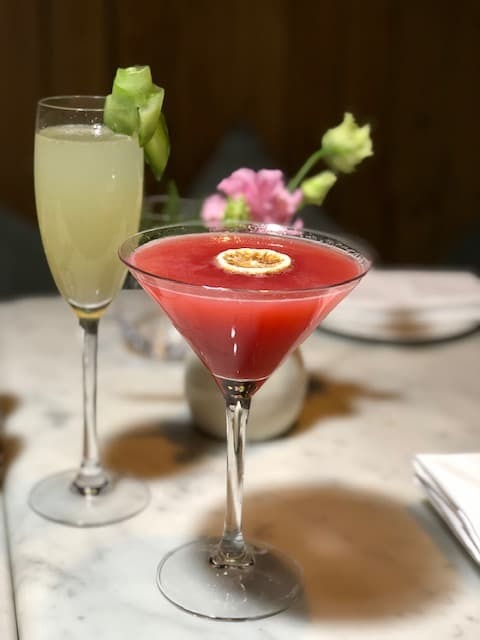 Our Friday night tipples of choice were the Clover Club Royale: Tanqueray Gin, Raspberries, Lemon & Sparkling Wine and the Cucumber Royal: Champagne, Hendricks Gin, Rose Liquor, fresh cucumber and lime juice. Well, these cocktails were absolutely fantastic. They were both light and fresh without being too sweet. During dinner we couldn’t help but try another one. We opted for the British Twist: Kamm & Sons, Antica Formula, Aperol, Lemon & Egg White. 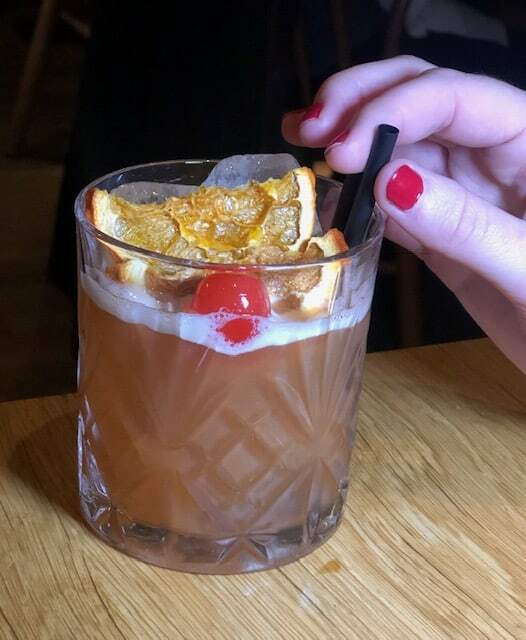 The cocktail was beautifully presented but probably a little strong for me! We started our meal with some fresh, warm Sourdough bread (£3.50). 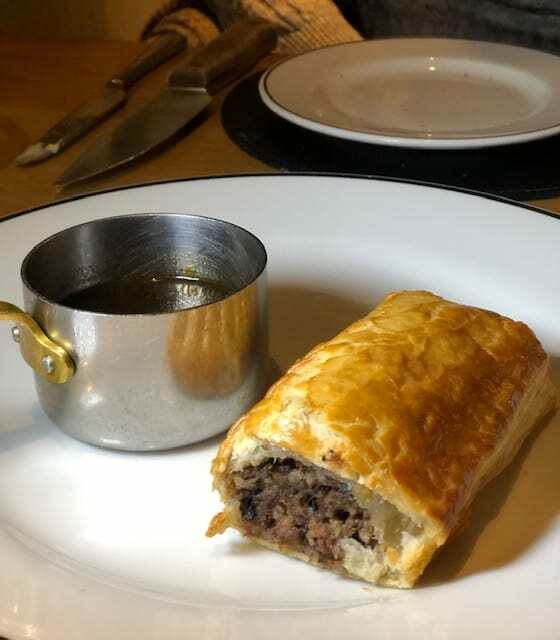 This was followed by a special on the menu which we could not resist – Haggis and Pork Sausage Roll with Whisky Gravy (£9). I absolutely love haggis (it is like spicy stuffing) and the sausage roll was packed with delicious filling. Other starters on the menu include Carlingford Oysters, Ham Hock Terrine, Smoked Salmon and Hand Dived Scallops. We obviously could not dine at a chop house without trying the Aberdeen Angus Cross Beef. 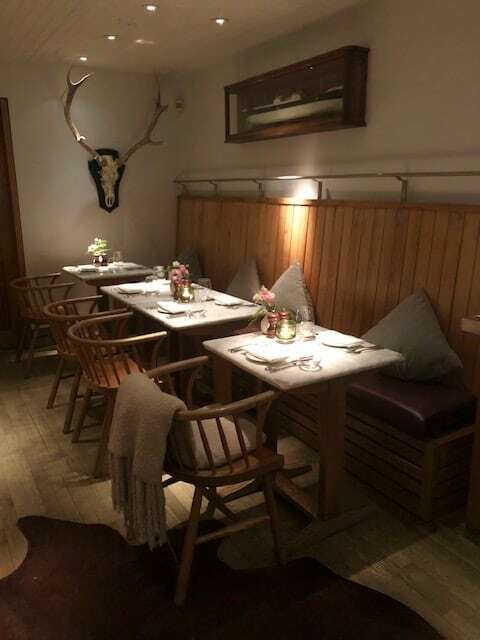 The meat is selected from cattle that are reared and grazed in the Cairngorm National Park in the heart of the Scottish Highlands, dry aged on the bone or as whole cuts to ensure flavour, tenderness and succulence. 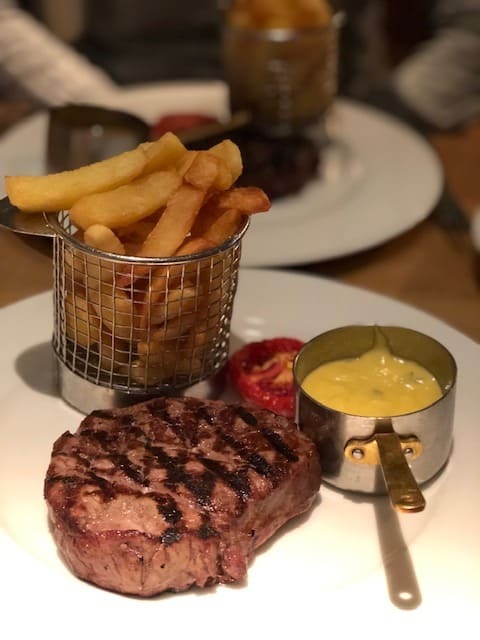 The choices include sirloin and fillet as individual steaks and Chateaubriand, porterhouse and tomahawk as sharing steaks. We opted for the 250g 28 day dry aged Aberdeen angus fillet (£35). Accompanying this we had triple cooked chips (£4.50) and béarnaise sauce (£2.50). While the price is on the high side, the quality of the meat is fantastic. The steak was lean, tender and flavoursome – just how you expect a good fillet. 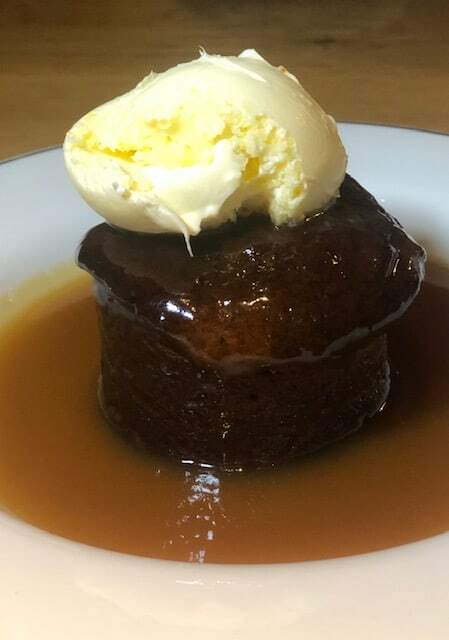 To top off our fantastic meal we had a Sticky toffee pudding with clotted cream (£7). The pudding was moist and there was a generous amount of sauce, which is a must! Butlers Wharf Chop House is a gorgeous restaurant in Shad Thames offering beautiful views, fantastic food and lovely staff. Given it comes with a price tag, it may be one to save for a special occasion or keep an eye out for the special set menus offered throughout the year.